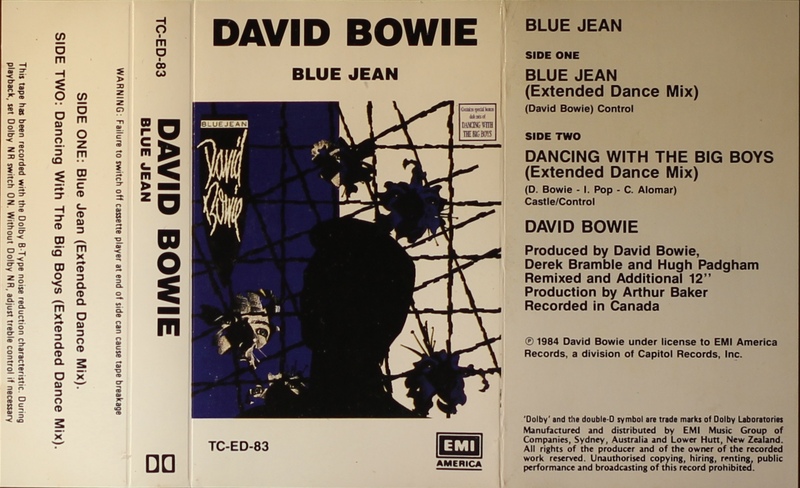 Blue Jean: Australia; EMI America, TC-ED-83; 1984. White bordered cover picture with white spine, rear and inner panels on folded, treated card. Track list on rear and inner panels. ‘Contains special bonus dub mix of Dancing With The Big Boys’ in box on cover. Dolby ‘B’ information and ‘Manufactured and distributed by EMI Music Group of Companies, Sydney, Australia and Lower Hutt, New Zealand’. 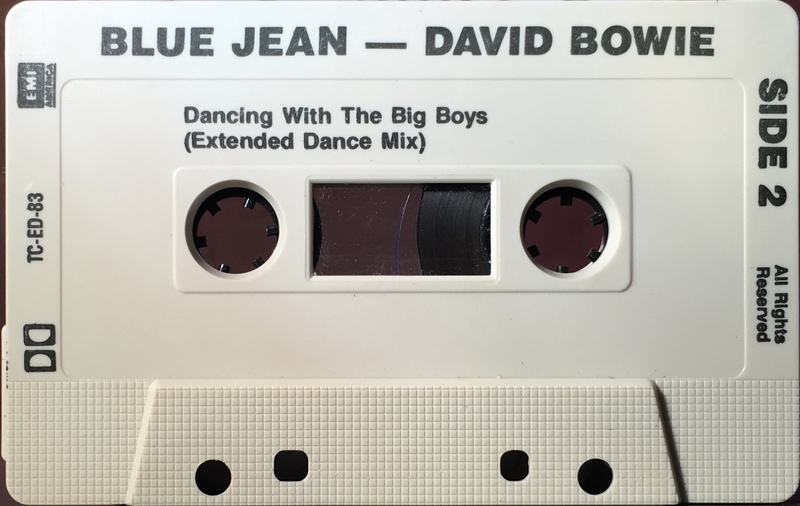 Blue Jean is 5m:15s and Dancing With The Big Boys 7:23 (ext. dance mix) – 7:10 (ext. dub mix). Side 1: Blue Jean (extended dance mix). Side 1: Dancing With The Big Boys (extended dance mix).